SEE THE STORY OF THESEUS AND THE MINOTAUR IN A WHOLE NEW LIGHT Minos thought he could Pull a fast one On me, Poseidon! God of the Sea! But I'm the last one On whom you Should try such a thing. The nerve of that guy. The balls. The audacity. I AM THE OCEAN! I got capacity! Depths! Darkness! Delphic power! So his sweet little plan Went big-time sour And his wife had a son Born with horns and a muzzle Who ended up In an underground puzzle. What is it with you mortals? You just can't seem to learn: If you play with fire, babies, You're gonna get burned. 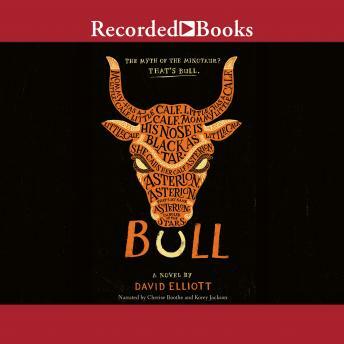 Much like Lin-Manuel Miranda did in Hamilton, the New York Times best-selling author David Elliott turns a classic on its head in form and approach, updating the timeless story of Theseus and the Minotaur for a new generation. A rough, rowdy, and darkly comedic young adult retelling in verse, Bull will have readers reevaluating one of mythology's most infamous monsters.